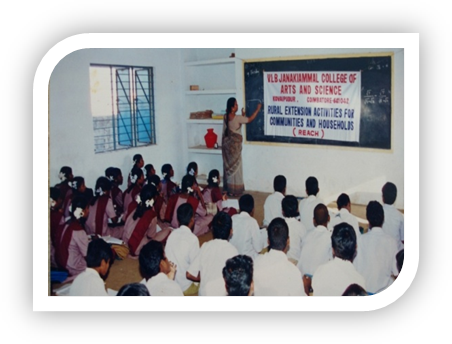 ➤ The Department of CDF organized Extension activity on ‘Techniques of Fabric Painting’ to the students of VLB Janakiammal Girls High School, Coimbatore, on 21st August 2018. The students showed great interest in learning the techniques. ➤ Department of Management Studies & International Studies organized a rally on 7th August 2018 on Child Abuse and Women Harassment. 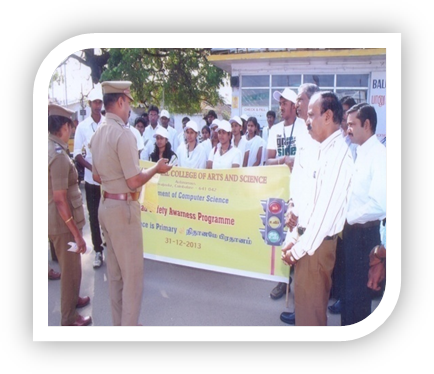 The Rally started from the College Campus covered an area of 5kms up to Kovaipudur terminus. ➤ Department of Management Studies & International Studies organized Social Awareness Programme on Alcoholism on 7th August 2018. A play depicting the theme was enacted by MBA students in association with the members from JEEVA SHANTHY TRUST. ➤ Department of Management Studies & International Studies organized a visit to Douglas Memorial Child Care, located near N.G.G.O Colony, Edikarai road, Vattamalai palayam, Coimbatore on 7th August 2018. 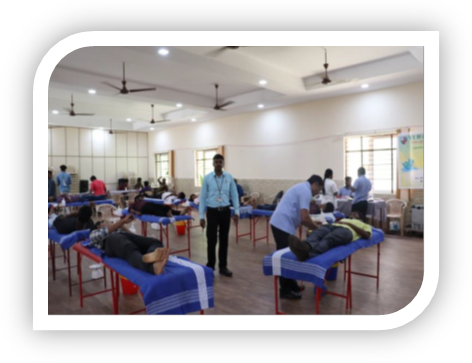 ➤ Department of Management Studies & International Studies organized Blood Donation Camp on 6th August 2018. 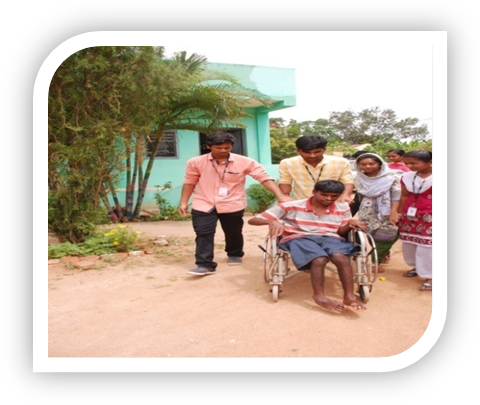 The Department joined hands with Shanthi Social Services (SSS), a CSR initiative of SHANTHI GEARS. The main motto of SSS is “Service to Humanity is Service to God”. 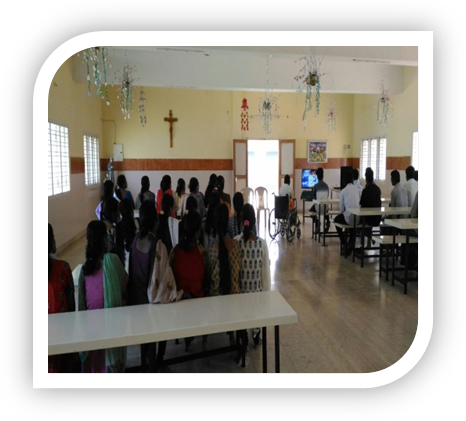 ➤ Department of Management Studies & International Studies organized a visit to Assisi Snehalaya (House of Love) - a Rehabilitation Centre for those infected with HIV/AIDS at Rottigoundanur, Madukkarai, Coimbatore District. The visit was held on 5th August 2018. Students entertained through various activities and games, serving them food and established a common wavelength. 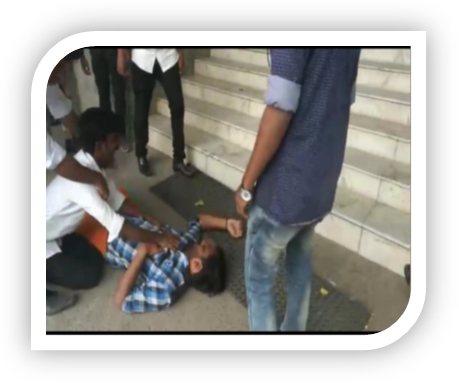 ➤ Department of Management Studies & International Studies organized a life saving First Aid Programme was conducted on the 4th August 2018. Two experts from 104 and 108 Mr.Deepu the National Award winner for saving more than 2000 people's lives and Mr.Manivanan were the Special Guests for the program. 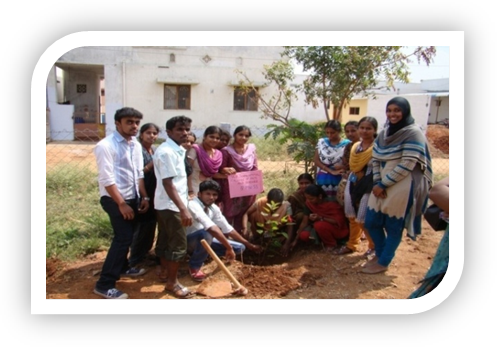 ➤ Department of Management Studies & International Studies organized plantation event teaming with AHIMSA TRUST which contributed 50 free saplings from their trust. The saplings were planted in one of the sister concern school Janaki Shikshalaya, on 3rd August 2018. ➤ Department of Management Studies & International Studies, designed the pamphlets explaining the importance and benefits of various Special Schemes for farmers like" Pradhan Mantri Fasal Bima Yojana" and distributed to the nearby villages on 1st August 2018. 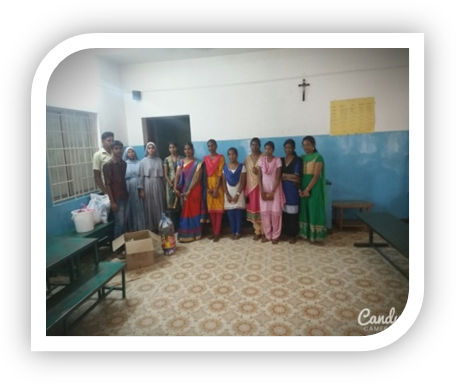 ➤ The students of Department of CDF involved themselves in the welfare of the Good News Friend Dorcas Old Age Home on 6-10-2018. The students altered and mended their old and new clothes. The people at the old age home felt satisfied with their service. 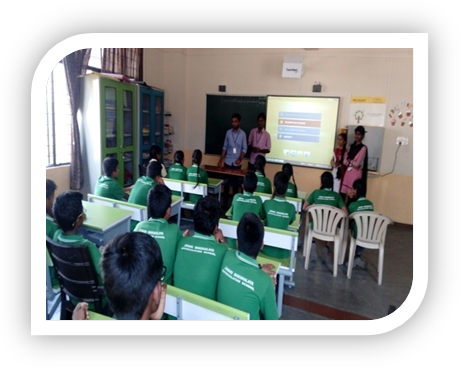 ➤ The students of Department of B.Com(PA),conducted an awareness programme on 21st August 2018, on Savings Account Time Deposit, Senior Citizen Savings Scheme, Selvamagal Semipu Account (Suganya Samridhi Account & Recurring Deposit. Students explained the beneficial service offered by the Government of India. 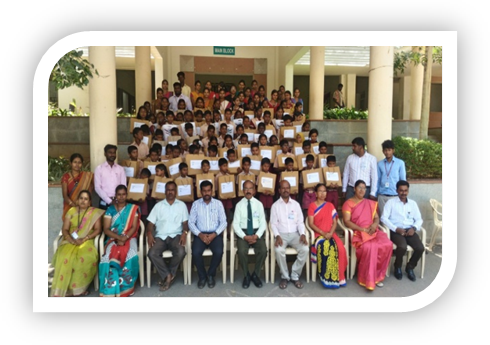 ➤ Extension Activity for tutoring students of MSSD Hr,Sec, School, Vadavalli, Coimbatore, was held on 24/07/2018 & 25/07/2018 by the students of Department of MCA & SS. 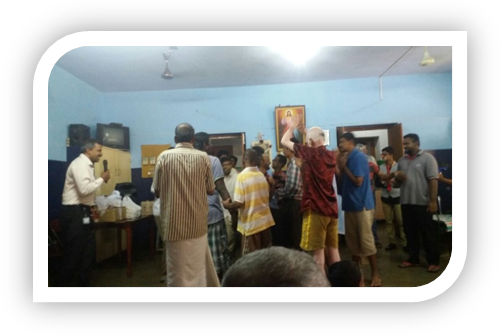 ➤ The Department of B.Com (CS&IT) students visited the orphanage and distributed sweets and towels to the elders of Missionaries of Charity (Puliakulam). 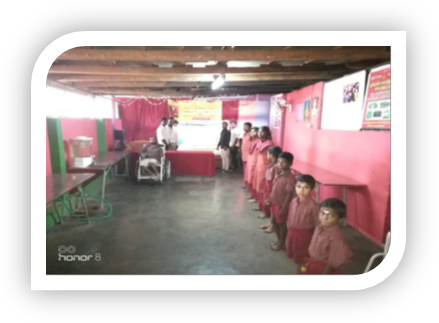 ➤ The Department of B.Com(CA) inaugurated Computer Centre and taught Basics in Computer at Orakipalayam Village near Annur on 15th April 2018. 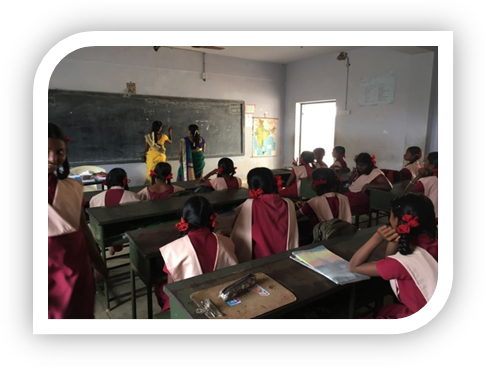 ➤ Extension Activity on Solid Waste Management was conducted for the students of VLB Janaki Shikahalaya School on 21st March 2018, by the students of Department of B.Com(BPS). ➤ Temple cleaning was done by the students of Department of Management(UG)at Koniamman Temple,on 15th March 2018. 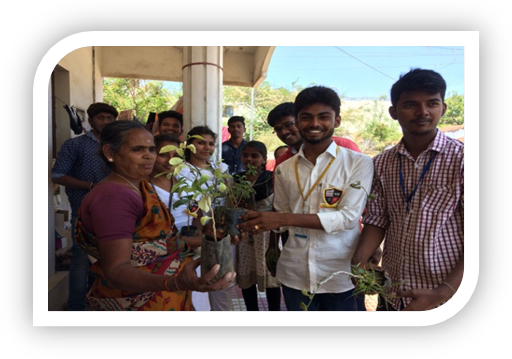 ➤ Distribution of Saplings to the public was extended by the students of the Department of Commerce on 26th February 2018. 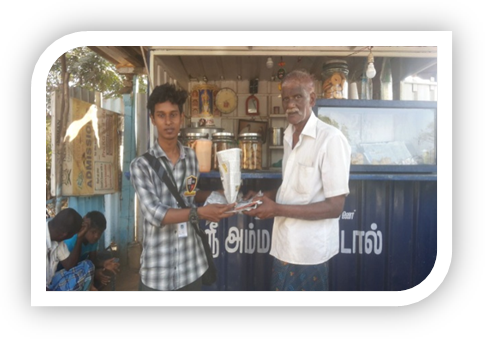 ➤ The students of the Department of Commerce distributed Handmade Paper bags to street vendors in and around Coimbatore city on 17th February 2018. 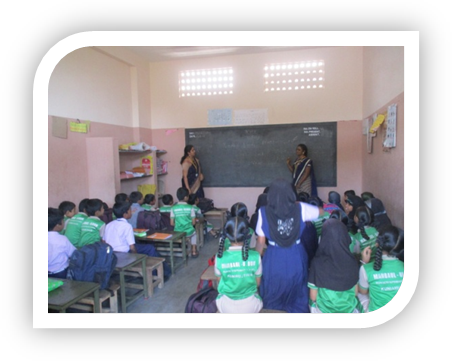 ➤ The B.A English Literature students conducted an extension activity “TEACH GRAMMAR” on 14th February 2018 at Government Girls Higher Secondary School, Thondamuthur. 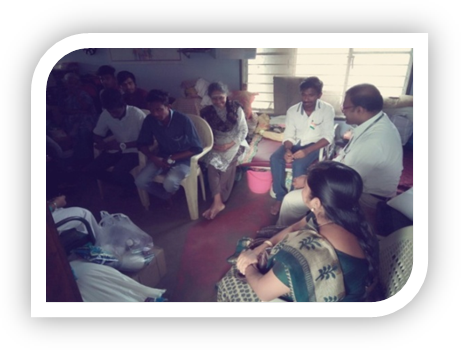 ➤ The Faculty members and students of the Department of B.Com(CA) visited the “Anbu Illam”, Old age home, Kovaipudur, Perur Road on 26th January 2018. 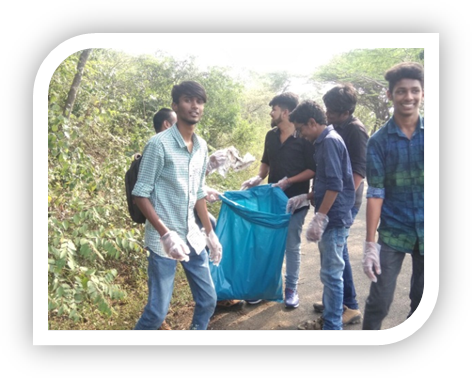 ➤ Department of Visual Communication and Western Ghats Wildlife Conservation Trust organized a mass plastic cleaning campaign in Madukkarai Forest on 10th December 2018. 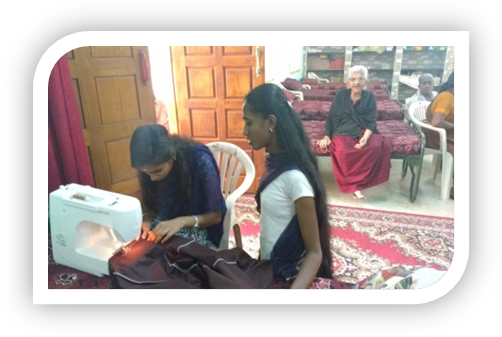 ➤ Students of Department of Computer Science, visited the orphanage Little Hearts, Kovaipudur, on 13th October 2017. 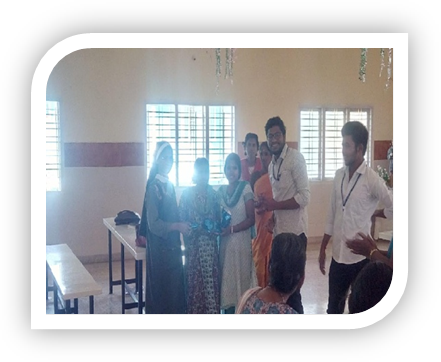 ➤ On behalf of Mahakavi Bharathiyar Memorial Day’17, the Department of IT &CT organized ‘Pudhiyana Virumbhu-2017’ an event of distributing student’s accessories for school students on 13.10.2017. A kit comprising of note books, pens, pencils, geometric box, etc., was provided to 100 poor background students who were identified from 5 Government and Aided Schools. 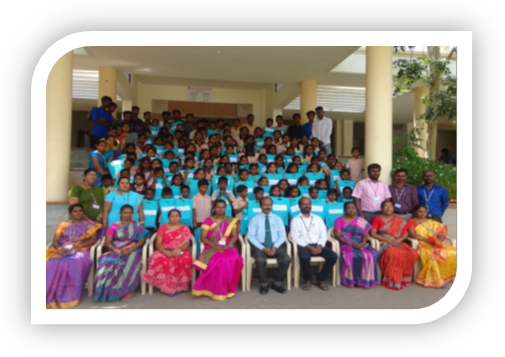 ➤ The Department of Catering Science & Hotel Management, has organized an “Orphanage Visit to KARUNAI ILLAM, kavundampalayam, Coimbatore on 22nd September 2017. 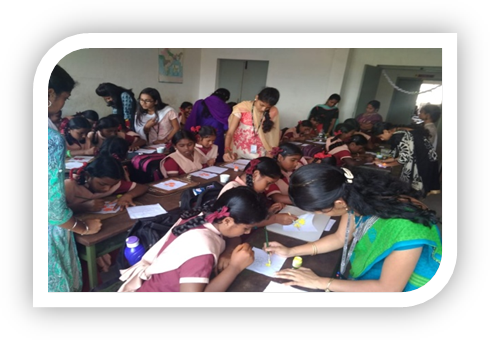 ➤ The Department of CDF organised an Extension activity on teaching ‘Block Printing Techniques’ to the students of VLB Janakiammal Girls High School, Coimbatore, on 30th August 2017. 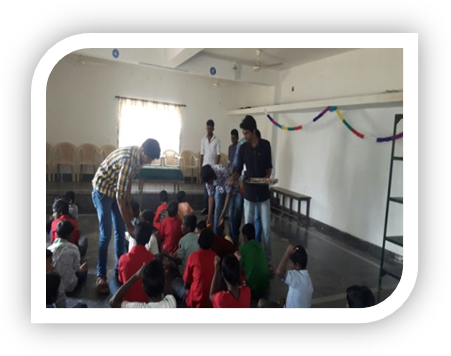 ➤ An extension activity “TEACH GRAMMAR” was conducted by the Department of English on 14.06.2017 between 10.30am and 12.45pm at Manbaul-Uloom Nursery & Primary School Kuniyamuthur by the students of B.A English Literature. 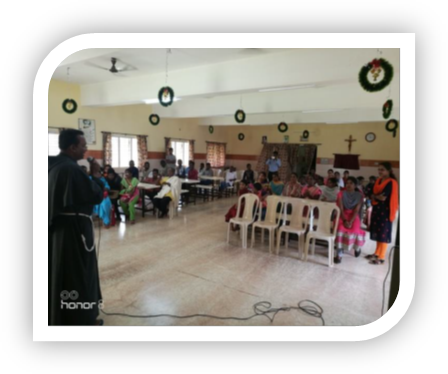 ➤ Extension Activities was organized by the Department of B.Com(BPS) for the inmates(HIV Infected persons) of ASSISI SNEHALAYA, Coimbatore, on 17th February 2017. ➤ Department of ECS conducted extension activity, creating awareness about the importance of electricity and safety among school students of Government High School, Kulathupalayam, which was held on 15th February 2017. ➤ The faculty members and students of the Department of B.Com(CA)visited the “Visited Assisse Snehalaya Aids Victims” Ettimadai on 26th January 2017. 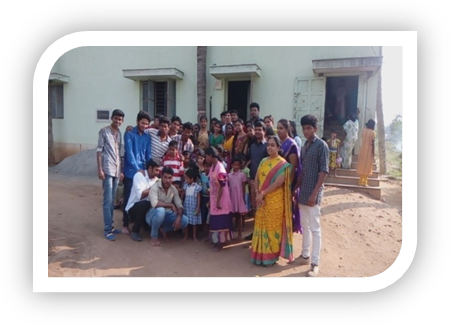 ➤ Students visited the orphanage Visited Assisse Snehalaya Aids Victims, Peelamedu on 24th December 2016. It was organized by the Department of Computer Science. ➤ Orphanage Visit to Kuzhandhaigal Kudumbam, Pothanur on 02.10.2016. Organized by the Department of Commerce. ➤ Department of ECS conducted extension activity to create importance of electricity and safety awareness among public on 8th September 2016 @ EB Office, Kovaipudur. ➤ On Mahakavi Bharathiar memorial day (07.09.2016), Department of IT&CT organized puthiyana virumbhu function to donate student accessories for school students. Students of poor background are identified from 3 government aided institution with total of 100 members around. 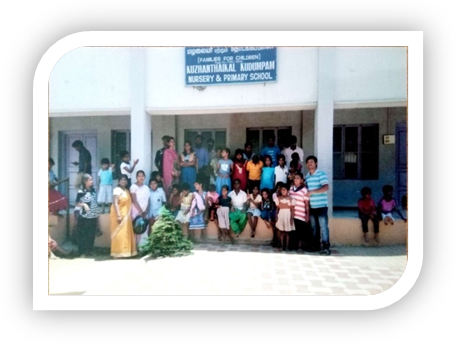 ➤ Orphanage Visit was held at Asharya Charitable Trust on 26th January 2016 @ Peelamedu. Organized by the Department of Computer Science. 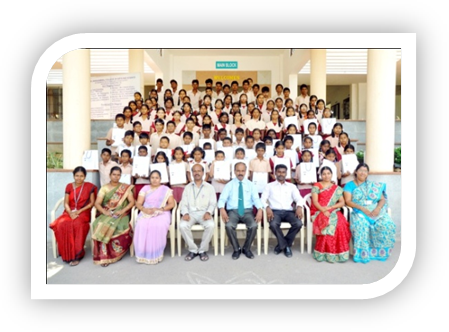 ➤ Orphanage Visit was organized by the Department of Computer Science, to Anbu Illam, Karunagapuri, on 26th January 2016. 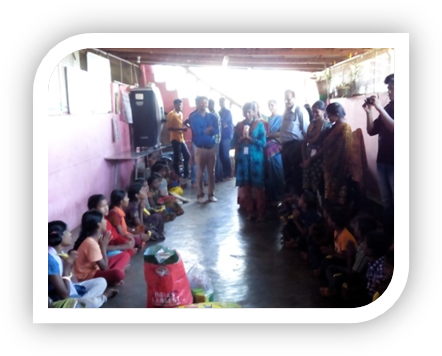 ➤ The faculties and students of the Department of B.Com (CA) visited the “Kuzanthaikal Kudumbam” Orphanage on 26th January 2016. 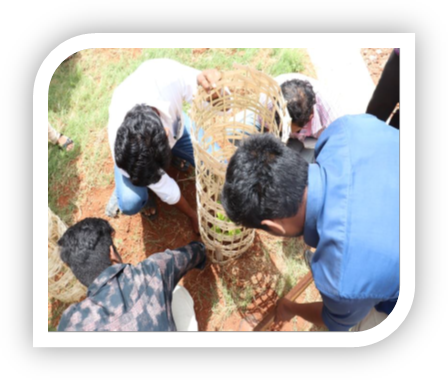 ➤ Department of ECS conducted extension activity on go green project, to create awareness of planting saplings to save environment, on 11th December 2015 @ Kovaipudur. ➤ In view of Extension Activities, we have donated 25 Kg rice and some old clothes to the students of Vivekanantha Orphanage home at Sundakkamuthur on 17-10-15 (AN). Organized by the Department of Computer Science. 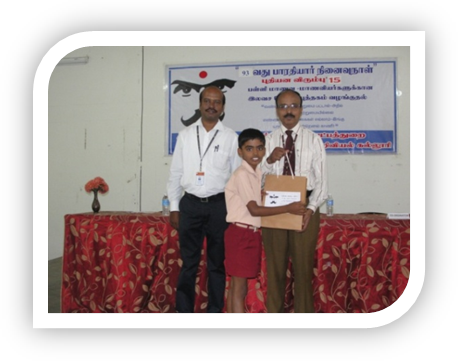 ➤ On Mahakavi Bharathiar memorial day (11.09.2015), Department of IT&CT had organized puthiyana virumbhu function to donate student accessories for school students. Students of poor background were identified from 3 government aided institution with total of 96 members around. ➤ Helmet Awareness Programme, was conducted at Lakshmi Mills Signal, Ramanathapuram Signal and Head Post Office Signal, R.S Puram, on 30.06.2015 & 01.07.2015, in the Presence of Mr.Rabin Sujin Jose Inspector of Police, Race Course, Coimbatore. It was organized by the Department of B.Com (CA). 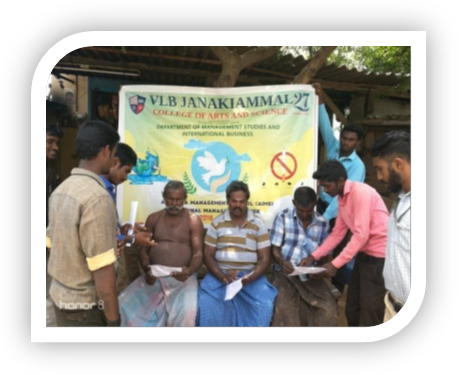 ➤ Dengue & H1N1 influenza (swine flu) virus awareness was organized by the Department of Computer Science on 21st February 2015 @ Kovaipudur, Kurichi, Konaivaukkalpalayam, Kulathupalayam, by issuing pamphlets to nearly 5000 houses in the above mentioned localities. ➤ Cleaning temple & Sapling Plantation was organized at Murugan Temple, Sundakkamputhur, on 24.01.2015, by the department of MCA&SS. 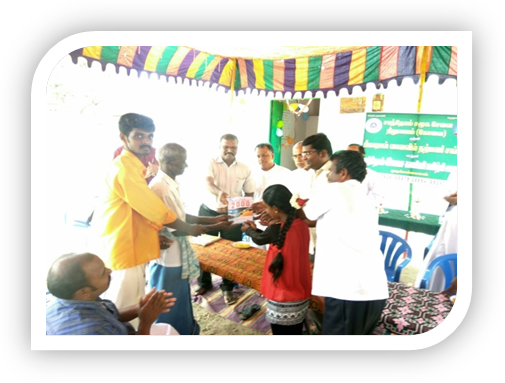 ➤ On Mahakavi Bharathiar's Memorial Day (12.09.2014), the Department of IT&CT had organized "Puthiyana Virumbhu" function and donated accessories for 93 school students who were from poor background and identified from 3 government aided institutions. 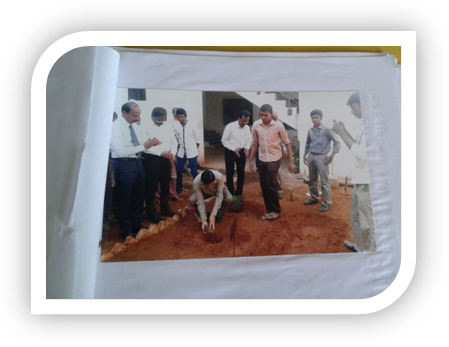 ➤ An extension activity on “Go Green” was conducted by the Department of BCA on 25th August 2014. 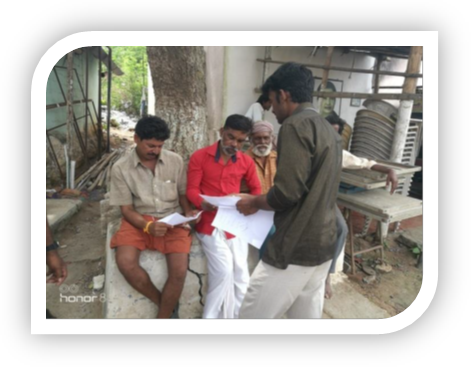 ➤ Road safety Awareness Programme “Nidhaname Pradhanam” was conducted on 31st December 2013 @ Aathupalam, by distributing Pamphlets to the public, organized by the Department of Computer Science. 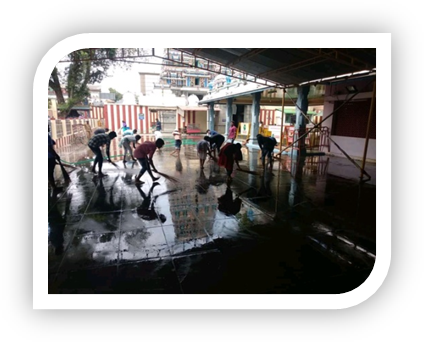 ➤ The Department of Commerce organized and Cleaned Ukkadam Bus stand under Prime Minister’s Swatch Bharath Scheme during 2013-14. ➤ Commerce Classes were taken for XII Students of Government Higher Secondary School, Kulathupalayam during 2013-14, by the Department of Commerce. 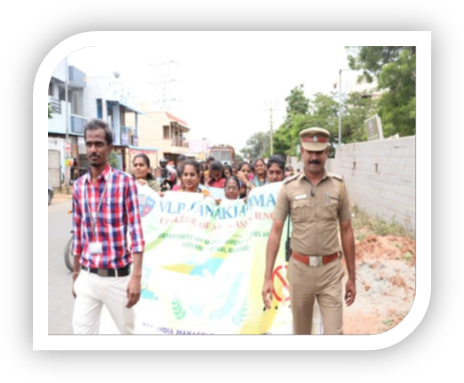 ➤ Road safety Awareness programme on “Nidhaname Pradhanam” was conducted by the Department of Computer Science, on 31st December 2013 @ Aathupalam, by distributing pamphlets to the public. 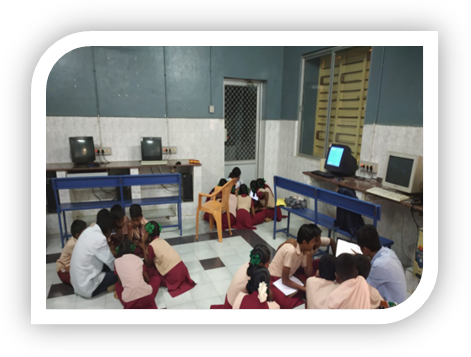 ➤ The Department of Computer Science organized an Orphanage Visit, to Social Security Act (SSA) Centre, Thondamuthur, on 20th October 2013. 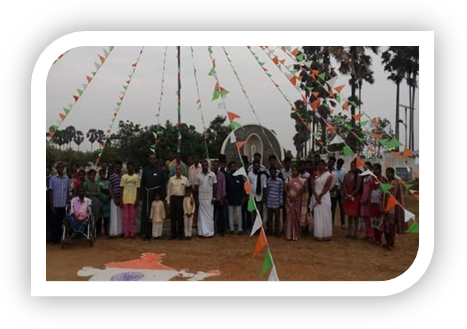 ➤ Bharathiar Memorial Day was held on 11th September 2013. On this occasion, Department of IT&CT contributed free notebooks and accessories to 92 school children of CBM School, Coimbatore.